Not sure what you are looking for? 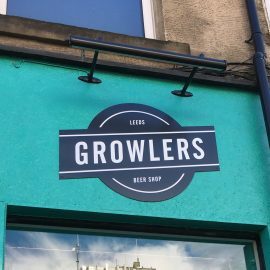 Pick up the phone or email us and speak to a friendly member of our team who can talk you through the options of Signage in Leeds. 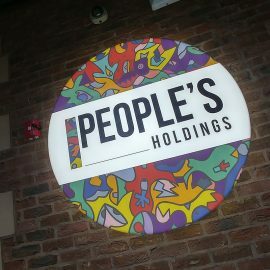 We have an in-house design team of commercial sign makers that can help realise your vision if you don’t have your own design. 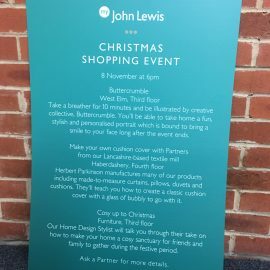 Our designers can help with shop signage, banners and event print. We can deliver to you or our team of installers can put your sign up safely and to your specification. We install shop, event signage, internal and external signage. We can produce cut vinyl for use in windows, doors, walls and for vehicles. Available in a wide range of colours and finishes, installation and design also available. 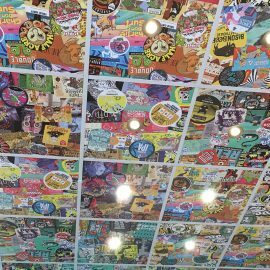 Printed Vinyl is a great method for advertising. 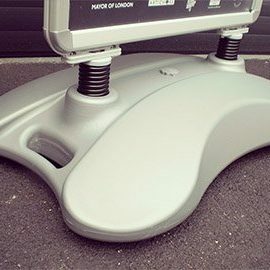 We can print to huge sizes in full colour and this can be laminated for extra-durability. The printed vinyl can be applied to windows, walls, vehicles and more. 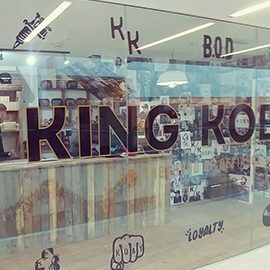 Etched Vinyl, also known as frosted vinyl has multiple uses, from opening times on a shop door, branding in a shop window or for privacy in an office. We also offer sheets of patterned Vinyl as well as cut etched and solid etched. A great medium for events and temporary advertising, PVC banners can be produced to large sizes and in full colour. All banners are hemmed and have reinforced eyelets for durability, available in a standard or mesh material. Acrylic signage is a versatile medium and can be used internally and externally. Acrylic signage can be face printed or reverse printed and are available with our without aluminium stand offs. Our aluminium tray signage is perfect for shop signs and business signs. 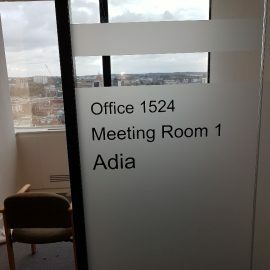 Available in custom sizes and a range of colours, they can be finished with vinyl lettering, stand-off letters and backlit letters. Available in different thicknesses, foamex signage is perfect for events and internal signage. An affordable and more versatile alternative to posters and other signage material, also available contour cut. Perfect for outdoor use, dibond signs are durable and lightweight. Didond can be printed full colour or finished with a brushed aluminium background. 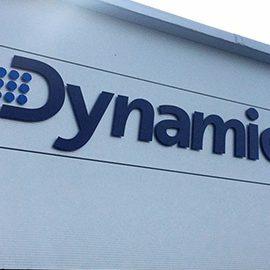 Our Acrylic letters have a really strong impact when used for external signage. We can produce them to huge sizes and in a range of colours, they are durable to the weather and will last for years. Really stand out on the high street with a projection or hanging sign. Available in a range of materials and sizes. These can also be attached to poles for signage away from buildings. A versatile, lightweight sign typically used by Estate Agents for property sales and rentals. 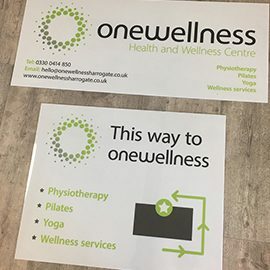 The sign can be printed up to huge sizes, double sided and are great for indoor or outdoor use. Our variety of pavement signage is great for use outside shops and restaurants to advertise to passing foot and car traffic. They are weighted to protect against the wind and are fully waterproof. 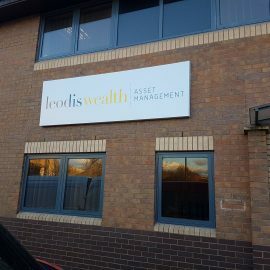 Available in different finishes and with different lighting effects, illuminated signage really help you stand out from the competition and give your business a professional look. We have a huge selection of signage available for shops and businesses, including monolith, post and panel, pavement signage and much more. Use the Menu at the top of the page or click to fill in the contact form.